Modern Caliente probably wouldn’t exist without the railroad. Its biggest building is an old railroad depot, its business district parallels railroad tracks, not the highway, and then there’s the town’s iconic, “Company Row,” more than a dozen nearly identical wooden houses built by the railroad for its workers. Despite the overwhelming influence of its railroad, Caliente actually started out as a ranching area. In the early 1860s, two escaped slaves, Ike and Dow Barton, began ranching in the Meadow Valley Wash and Clover Wash region of Eastern Nevada. A few years later, the brothers sold their holdings to Charles and William Culverwell, who owned a cattle and hay operation that primarily served the nearby mining camps of Pioche and Delamar. The area’s character changed in 1901 with the construction of the Salt Lake rail route, which served the San Pedro, Los Angeles and Salt Lake Railroad and the Union Pacific Railroad. Regular service didn’t begin until 1905, but prior to that Caliente served as a division point and supply hub for workers building the route south through the Meadow Valley Wash. An engine terminal and sidetracks were constructed at Caliente, which provided long-term employment opportunities and boosted the town's economy. 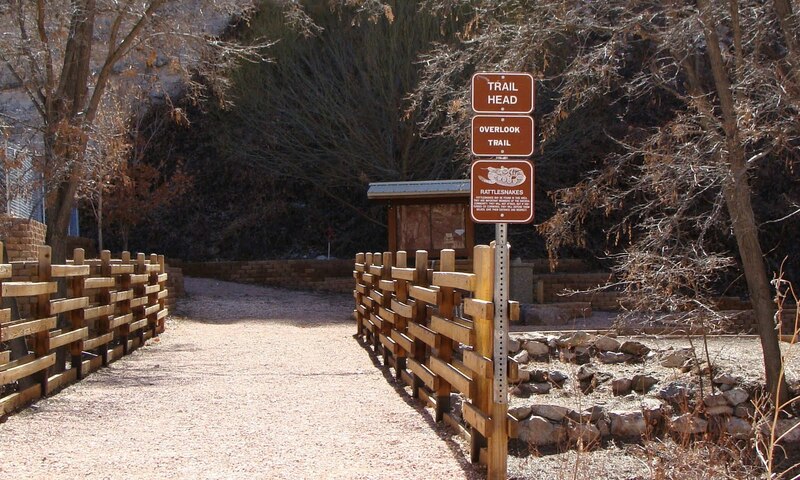 In 1901, a post office was established in the area and a town was surveyed, which was named Caliente (the Spanish word for hot) because of the area’s natural hot springs. 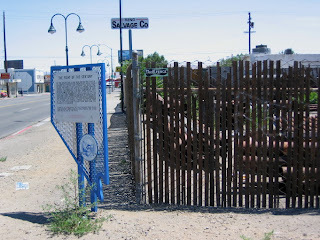 Driving through Caliente, it is still possible to find places that reflect the town’s rail roots. Foremost is the large Union Pacific Railroad Depot in the center of town. This classic, two-story Mission-style building was constructed in 1923 by the railroad and originally housed a hotel, restaurant, telegraph office, and train station. 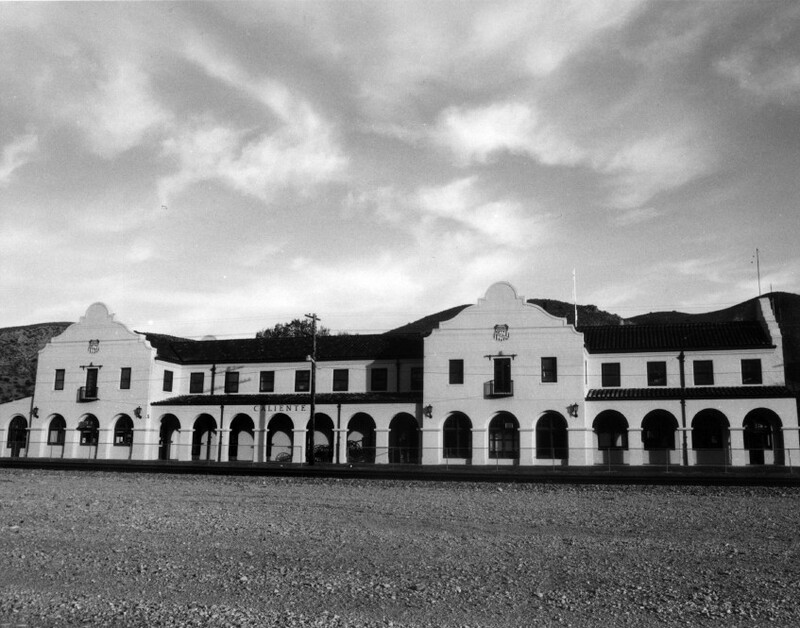 Over the years, the depot has been used as city hall, office space, an art gallery, library, community center, and school. East on Clover Street (the main street) from the depot is Caliente’s business district, which contains many buildings dating to the late 1920s. Gottfredson’s store, in the middle of the district, is one of the town’s oldest commercial structures, having been built in 1907 as a bank and hotel by Charles Culverwell. At the eastern edge of the downtown (on Clover near Denton streets), visitors will find the Richards Railroad Hotel, a two story building constructed in about 1910 to house railroad workers. Adjacent are the Underhill home, a two-story stone house that was once a saloon, and the Underhill General Merchandise Store, a classic false front building. Both were built in 1905. On the other side of the tracks (north) is the Cornelius/Scott Hotel, a three-story stucco structure built in 1928. In its heyday, the hotel hosted many dignitaries, including President Herbert Hoover. Across U.S. 93 from the Cornelius/Scott Hotel is Caliente’s classic row of railroad homes. Here you can find some of the best-preserved examples of the cookie-cutter company housing built by the railroad in 1905. If you wander a bit through the blocks north of the hotel, you can find the Caliente Stone School (corner of Culverwell and Market streets), which is considered an excellent example of the “Classic Box” style of architecture from the early 1900s. The school, now a church, was built in 1905. The Caliente Elementary School, across Market Street from the Stone School, is a streamlined stucco structure with Art Deco overtones, which was built in 1922, after the earlier school became too small. Caliente is located about three-and-a-half-hours north of Las Vegas via U.S. Highway 93. For more information, go to http://www.lincolncountynevada.com/Lincoln-County-Nevada-Caliente.html. The spot where the “Fight of the Century” took place doesn’t look like much today. On the southeast corner of Fourth and Toana streets in an industrial section of Reno is a battered metal sign in the shape of Nevada. The sign marks the spot where heavyweight champion John Arthur “Jack” Johnson, a black man, and former champ James J. “Jim” Jeffries, who was white, battled for 15 rounds on a hot July day in 1910. The site is largely forgotten—overlooked by most of the drivers racing by on Fourth Street—although there were a few ceremonies commemorating it a few years ago on the 100th anniversary of the fight. But the locale continues to resonate in historical terms. The fight itself was controversial—it was billed as a battle between the races—and in its time was seen as a metaphor for the state of early 20th century race relations. In fact, in 2004 famed filmmaker Ken Burns produced a four-hour documentary for public television, “Unforgivable Blackness: The Rise and Fall of Jack Johnson,” which included photos and commentary about the bout. Johnson had become the first-ever black world heavyweight-boxing champion when he vanquished Canadian Tommy Burns in 1908. Not surprisingly, almost immediately after his victory there were calls by a number of prominent white religious and political figures for a “Great White Hope” to come forward and reclaim the title for the white race. For the next two years, the outspoken Johnson battered a succession of so-called “Great White Hopes” who sought to defeat him. Jeffries, however, was in no shape to fight the better-conditioned Johnson. The former champ, who had hung his gloves to farm alfalfa in Burbank, California, was about 100 pounds overweight and 35 years old. On the day of the fight, in a makeshift wooden arena in Reno, Johnson was in his prime—32 years old and a trim 206 pounds—while Jeffries weighed-in at 227 pounds; he’d had to drop 70 pounds. The fight itself was heavily promoted as a battle between the races. For weeks prior to the event, newspapers throughout the world published stories focusing on nearly every nuance of the bout, which was the first to ever be hailed as “The Fight of the Century” (a claim now used for nearly every championship fight). Boxing entrepreneur George Lewis “Tex” Rickard, a former Goldfield saloon owner, had set up the match by offering $50,000 to each fighter for the film rights, a signing bonus of $10,000 and a $101,000 purse (winner would get two-thirds). In 1897, Nevada legalized prize fighting, which was considered violent and uncivilized in most states. Rickard had entered the fight business in 1906, when he promoted a world lightweight boxing championship bout in Goldfield between Oscar “Battling” Nelson, a white boxer, and Joe Gans, a black fighter. Gans had won that contest in the 42nd round after Nelson was disqualified for landing a low blow. Once the fight began, the two men pounded on each other for 15 rounds (the fight was scheduled to go 45 rounds) before Johnson, who was so much faster and stronger than Jeffries that he appeared to be playing with his opponent, twice knocked down the former champ. At the second knock-down, Jeffries’ second jumped into the ring, ending the fight before the fading former title-holder could be knocked out. Later, Jeffries acknowledged, “I could never have whipped Johnson at my best. I couldn’t hit him. No, I couldn’t have reached him in 1,000 years.” Johnson’s win ignited celebrations among his jubilant black fans around the country. However, in some cities, the merriment evolved into rioting between blacks and whites. The bout, which drew about 20,000 fans, was a boost to Reno’s image and economy. Rickard would go on to promote many other fights, including many with heavyweight champion Jack Dempsey. In 1925, he built the third Madison Square Garden in New York, and three years later built Boston Madison Square Garden (later shortened to Boston Garden). As for Jeffries, he retired again for good while the flamboyant and controversial Johnson continued boxing. In 1915, another “Great White Hope,” Jess Willard, defeated Johnson in Havana, Cuba. He died in a car accident in 1946. In Elko, you can hang with a bush pig or cruise by a white rhinoceros. The two exotic creatures are part of the wild animal exhibit in the Wanamaker Wing of Elko’s excellent Northeastern Nevada Museum. The Wanamaker Wing, a substantial addition to the museum, opened in 1999 and was a gift of V.H. “Jack” Wanamaker, a wealthy Southern California businessman who was also a big game hunter during the mid-20th century (before most people were aware of the concept of an endangered species). Wanamaker owned a chain of carpet stores and the mounted animals were featured regularly in advertisements promoting his businesses. From the size of the animal collection displayed at the museum, Wanamaker was a passionate hunter who managed to track species from all over the world. When you enter the wing, you immediately encounter a large giraffe, towering over the entrance. Nearby is an impressive Siberian tiger, displayed with a peacock, black buck antelope and other species in a re-creation of their natural environment. The next display contains a Maxwell’s duiker (a type of miniature antelope) as well as a blue duiker, a large bongo (a hooved, horse creature) and an African bush pig (which looks just like it sounds). Nearby is another diorama displaying bush duikers (Wanamaker had a thing for duikers), a bontebok, western gazelles, and a white rhinoceros. 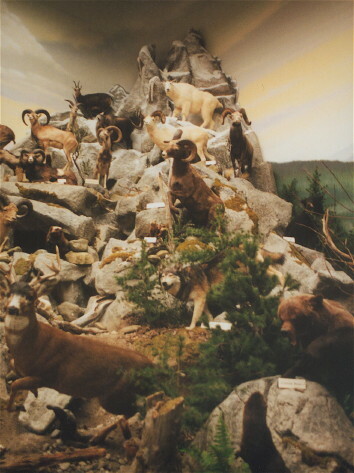 Another exhibit shows a virtual mountain of bighorn and Rocky Mountain sheep. More than a dozen sheep, many with trophy horns, have been posed on a re-creation of a steep mountain peak, like you’d find in Nevada. The Wanamaker Wing also contains a second floor and a basement display area. The former is used to display the museum’s permanent art collection as well as traveling or rotating shows (during my visit, the show displayed artwork by local school children). The basement room is a continuation of the Wanamaker collection and includes dozens of mounted heads of various animals. There, you’ll find several huge elk heads as well as red deer from New Zealand and Elands from Zimbabwe. Of course, the Wanamaker Wing isn’t the only thing to see at the museum. Walking into the main section, you spot the large Spring Creek Mastodon exhibit, which describes the discovery near Elko in 1994 of the fossilized bones of a 2 million-year-old mastodon. The massive bones represent the only documented mastodon find in the Great Basin region. Nearby is a display of Nevada bird species and animals, including wigeons, grebes, herons, moles, chipmunks and mice. One display case contains a denim tuxedo coat—and tells the story behind it. The jacket is one of two created in 1951 for singer Bing Crosby and Elko’s mayor, David Dotta. Apparently, Crosby, who owned a large ranch near Elko, had been on a hunting trip in another state, where he was denied service in a restaurant because of his grubby appearance. In response, Dotta arranged for the making of the Levi tuxedos so that the singer could always have appropriate formal wear no matter where he was or what he was doing. Other artifacts in the museum include a 1917 crank telephone, a fluorescent minerals display, mining equipment, an exhibit on regional newspapers in the 19th century, a re-creation of a dry goods store and cases devoted to prehistoric rock art carvings and Shoshone baskets. One particularly interesting display contains the Sheriff Joseph C. Harris collection, a menagerie of pistols, rifles, brass knuckles and other instruments of crime confiscated by the former head lawman of Elko County. One very bizarre artifact is a pair of wooden, cow-hoof shoes. They were made in the 1930s by an ingenious cattle rustler, Crazy Tex, who strapped them on, then led cattle off the range to his awaiting vehicle. The shoes left behind no footprints, stumping law enforcement officials. He was finally caught in the act while wearing the clever cow-shoes. 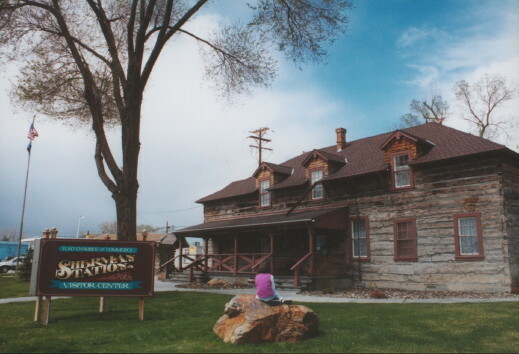 The Northeastern Nevada Museum is located at 1515 Idaho Street in Elko. It is open Tuesday through Saturday, 9 a.m. to 5 p.m., Sunday, 1 p.m. to 5 p.m. For more information, go to http://www.museumelko.org. When you visit Elko’s Chamber of Commerce, you can’t help but think that a stagecoach just might pull up at any moment. That’s because the chamber is housed in a 100-plus-year-old former stagecoach stop known as Sherman Station. Completing the image is the fact the two-story structure, which sits in a shaded park near the center of Elko, is made of two-foot-thick bristlecone pine logs. In 1997, the station and four other wooden structures were relocated to Elko from a Huntington Valley ranch about 60 miles south. The five buildings, which were restored to their original condition, are part of a visitor center and historic complex now open to the public. Inside the main station building, visitors can view a re-creation of an early 1900s parlor, which contains original artifacts and antiques that belonged to the Walther family, the station’s original owners. Additionally, the 4,800 square-foot log ranch house has a meeting room and events center as well as a gift shop and chamber offices. Adjacent to the house is the restored log stable, which once housed stagecoach teams, and is now leased to a company offering horse-drawn carriage rides of Elko. Other historic wooden buildings on the premises include the Blacksmith Shop (now a specialty shop selling leather goods and other crafts), the Creamery (now a cowboy wear shop), and the Schoolhouse (now a museum). Sherman Station traces its beginnings to the early 20th century, when rancher Valentine Walther erected the log house on his property on Sherman Creek in Huntington Valley. 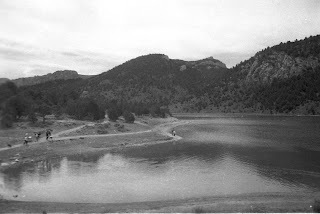 Walther and his wife, Sophie, had homesteaded 600 acres in about 1875. According to the Elko Chamber’s information, the Walthers lived in two covered wagons during their first few years in the valley before building a small log cabin. Somehow the two managed to raise 12 children in the cabin (eight girls and four boys). In 1895, Sophie was killed in a carriage accident. Shortly after her death, Valentine Walther and a friend, Nick Scott, began construction of the two-story log house. Apparently, it took three years to cut and haul the dense bristlecone pine logs from the Ruby Mountains, another three years to trim and shape them and a year to assemble the logs into a house. Finished in 1903, the ranch house also served as a post office (called Sherman) as well as a stagecoach stop (on the line heading south to the mining town of Hamilton) and community center. At the time of its construction, it was considered the largest log house in the state. For many years, Walther operated what was considered one of the best orchards in the state, raising cherries, plums, apricots and apples. Several of his original trees still stand on the former site of the station. The Walthers owned the ranch and log buildings until about the 1920s—family members still live in the Elko area. Several later owners lived in the big house until the 1970s, when it ceased to be used. In 1995, Peter and Kathy Scheidemann donated the historic structures to the Elko Chamber, which was able to obtain grants to pay for moving them to Elko. The restored buildings opened in 1999. Sherman Station is located on the corner of 14th and Idaho streets in Elko. It is open Monday through Friday, 10 a.m. to 4 p.m. For more information, go to www.elkonevada.com. The Lyon County Museum might best be described as the region’s attic. Where else could a visitor find a portrait made of human hair or a seven-million-year-old mastodon tusk or a couple of intact early 20th century schoolhouses? Located in the peaceful town of Yerington, the Lyon County Museum is also one of rural Nevada’s most comprehensive regional museums. The main portion of the museum is housed inside the former Mason Community Church, a Baptist house of worship that was built in 1911 and used as a church until 1930. It was later relocated from the Mason Valley to Yerington and has served as the museum’s quarters since 1978. Once inside the museum, the first impression is that nearly every space is filled with something. Display cases line the floor of the building and nearly every wall contains some type of exhibit. The museum is devoted to telling the story of Lyon County and does a good job of fulfilling that task. For instance, mining was long a mainstay of the regional economy and the museum has an Anaconda Room containing displays describing the substantial copper mining that happened in the county. In addition to historic mining photos (the copper mine at nearby Weed Heights was active from 1932 to 1978), there are rock samples showing native copper, malachite, and other minerals from local mines. Another wall display shows handmade quilts, some from the late 1800s, when the region was first settled. The museum also tells about the area’s Native Americans and exhibits a handful of ornate baskets, cradleboards and arrowheads. Wandering through the room, you can spot displays devoted to the history of gambling in the area (there is a wooden roulette wheel and a Mills nickel slot machine) as well as vintage toys and firearms. There are also reconstructions of a 19th century sitting room with an 1860s organ and a 19th century Grand Piano (and Eilley Orrum Bowers’ original rocker, which once was in the Bowers Mansion) as well as a re-creation of an early 20th century kitchen. You can also find “Mac’s Barber Shop,” a re-creation of a 20th century men’s barber shop, the telephone switchboard once used in the nearby Smith and Mason valleys and a railroading exhibit with historic Virginia & Truckee Railroad and Nevada Copper Belt Railroad artifacts. If you look on one of the walls, you’ll see the museum’s most unique item——a picture of flowers that was handmade of human hair. Scottish-born Margaret Nichol, a Smith Valley pioneer, created the hirsute heirloom in 1860. Outside of the main building are a half-dozen other historic structures from around the county that have been relocated and now serve as additional display space. 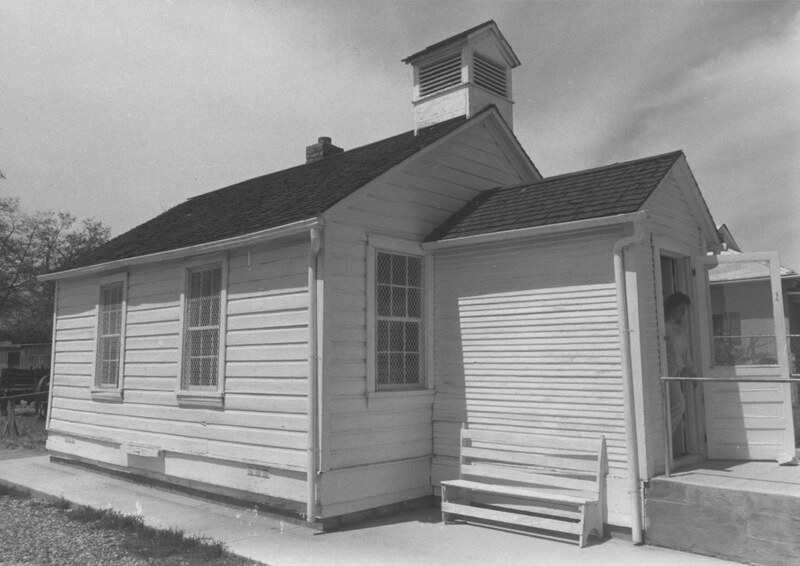 For instance, the former East Walker School, a classic one-room school has been moved to the museum grounds and set up as it once was with desks, wall-size chalkboard, wood stove and books. In this building, visitors are invited to ring the old school bell. Another building on the grounds in the former Thompson school, originally located in the mining town of Thompson. Inside, visitors can find vintage medical equipment and newspaper machinery. Adjacent is the former Gallager School Building, constructed in 1880, which was used as a school until 1941. Inside, exhibits describe the region’s natural history and include displays of antelope, chukar, muskrats and other local species. The museum’s oldest artifact can also be found here—a 7.5 million-year-old mastodon tusk discovered in the Smith Valley. Next to that is the Country Store, once a residence in Yerington, which has been set up to resemble a turn-of-the-century general store, complete with old time scales, counters, cash register, tins, and other period products. One of the most popular exhibits for children at the museum is the model railroad display, built by the Yerington Model Railroad Club. And for those wanting to see the real thing, the museum houses the restored Engine #6 from the Nevada Copper Belt Railroad, which once ran in the area. The Lyon County Museum is located at 215 South Main Street in Yerington. It’s open Thursday through Sunday, 1 p.m. to 4 p.m. Admission is by donation. For more information, call 775-463-6576 or go to www.yerington.net. 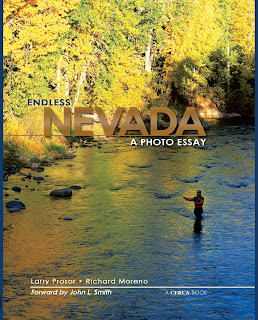 The www.examiner.com/reno web site recently ran the following review of a photo book that I co-authored several years ago with photographer Larry Prosor. The book, "Endless Nevada," was a blast to work on. Larry, who lived at Lake Tahoe for many years (he now resides in New Zealand) provided amazing photos while I contributed seven or eight essays about various aspects of the Silver State. It's still available from the publisher, Stephens Press, on amazon.com and in Nevada bookstores. Endless Nevada, A Photo Essay, is more than the sum of its parts. 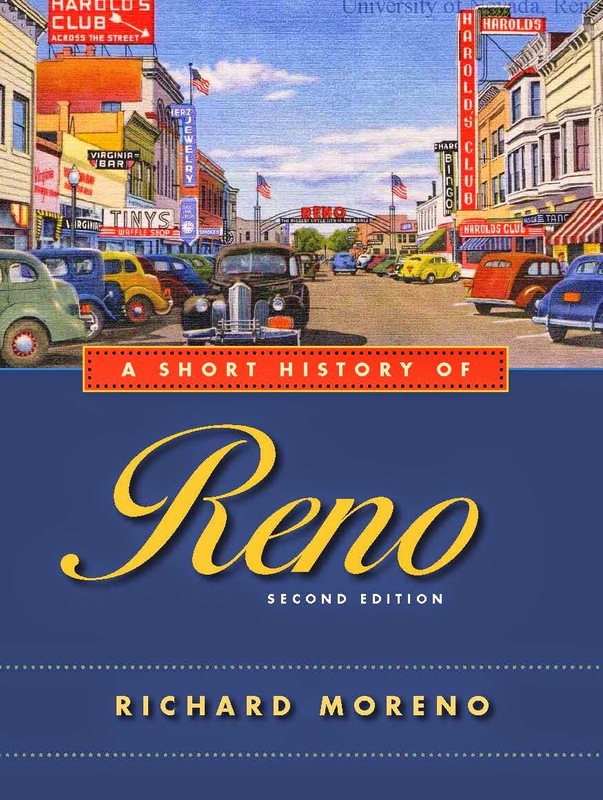 With outstanding photographs by Larry Prosor and narrative by Richard Moreno, you'll find this to be an engaging trip through corners of Nevada most people don't see. Included in the journey is a history of the places pictured, giving the reader context with which to enjoy the scenes. I find this type of format in a picture book particularly interesting. Larry Prosor is a self-taught photographer who has learned the craft through many years of field experience. Richard Moreno is the former publisher of Nevada Magazine. It probably never struck the folks who started Nevada Magazine back in 1936 that they might be creating a publication that would be around three-quarters of a century later. The magazine, originally called Nevada Highways and Parks, was the brainchild of Fred Greulich, the publicity director for the Nevada Department of Highways, and his boss, Robert A. Allen, the Nevada State Highway Engineer. In the first issue, Greulich wrote that the purpose of the publication was to promote Nevada’s then-spanking new paved highways and its state parks. For its first decade or so, Nevada Highways and Parks was a 20-page, black-and-white publication that contained no advertising and was distributed free to anyone interested in visiting the state. During most of those years, Greulich wrote the entire issue, which would often focus on a single topic, such as Virginia City or ranching in Nevada. Over the years, however, the publication evolved. Starting in the late 1940s, the issues began featuring color photographs and, starting in the 1950s, a broader mixture of story topics. In 1955, Greulich was replaced by Don Bowers, who gradually transformed the publication into more of a consumer magazine with subscriptions, newsstand sales and advertising. In the 1980s, C.J. Hadley became editor and gave the magazine a distinctive voice and personality. Since then, the magazine has grown and changed with the times, becoming a slick, award-winning publication that does an exemplary job of spotlighting the people, places, events and history of the Silver State. 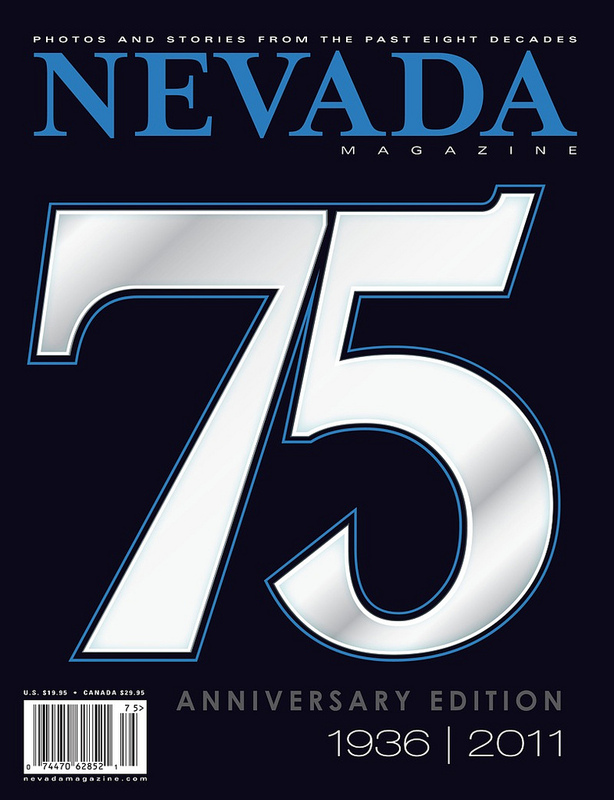 On the occasion of the magazine’s 75th birthday, the current magazine staff, which includes its publisher, Janet Geary, as well as Editor Matt Brown and Associate Editor Charlie Johnston, has lovingly produced a high-quality, 192-page collection of two dozen of some of the best stories that have appeared in Nevada Magazine over the past eight decades. A particularly fun aspect of the issue is that it also includes images of the covers of every issue of Nevada Magazine since 1936—and there have been some classic ones over the years (check out the ‘bucking bronc’ cover from May 1937 and the atomic bomb/mushroom cloud cover of June-December 1953). The issue is divided by decades. For example, the first reprinted story from May 1936 is an un-credited but Greulich-penned piece about the then-new Boulder Dam (the name wasn’t changed to Hoover Dam until 1947). Other noteworthy articles included in the special edition include Lillian N. Ninnis’ “They Stayed Chinese,” a Winter 1967 story about how the Chinese came to Nevada and the West in the 1860s and their lasting impact on the region, and the late Guy Shipler’s story, “The Man Who Bought Nevada: The Shadow Emperor,” a story about eccentric billionaire Howard Hughes’ involvement in Southern Nevada’s development. 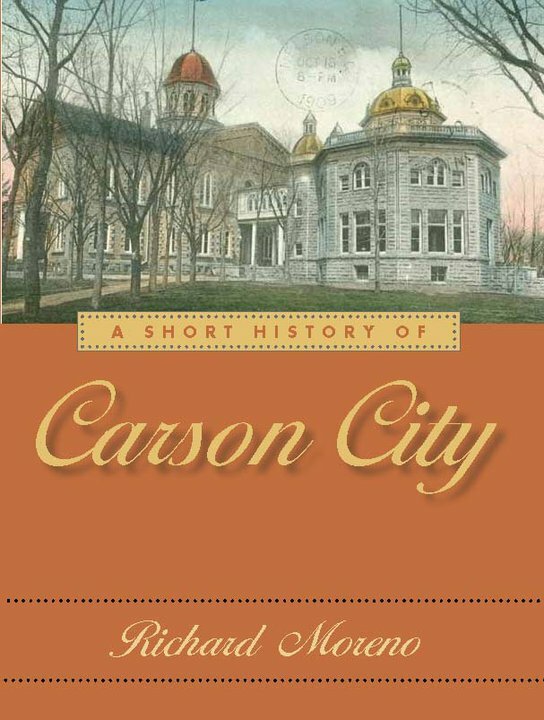 Fun stories from the 1980s and 1990s include longtime Nevada Magazine contributor David W. Toll’s “The Last Stagecoach Robbery,” about a famous crime that occurred in the remote Northern Nevada outpost of Jarbidge, and Martin Griffith’s piece, “What’s Nevada’s Oldest Town,” which recounts the controversy among some historians about whether Genoa or Dayton should be considered the state’s oldest settlement (you read it and decide for yourself!). In the interest of full disclosure, the issue includes two stories that I wrote during the time I worked as the publisher of Nevada Magazine from 1992-2006. Nicely accenting the reprinted articles are historic photos, which are often juxtaposed with contemporary shots of the same subjects. 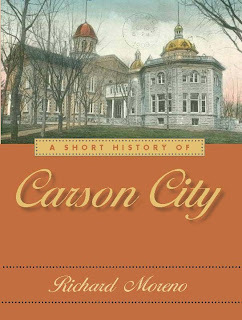 This special edition is a ‘must-have’ for anyone interested in Nevada’s history or in the longest-running magazine devoted to profiling the state. The 75th Anniversary Edition of Nevada Magazine costs $19.95 and is available for order via the Nevada Magazine web site (www.nevadamagazine.com).